On Apr. 5-20 the 167th Airlift Wing at Shepherd Field Air National Guard Base, Martinsburg, West Virginia, hosted four U.S. Air Force (USAF) A-10C Warthog aircraft and crew members who came to honor to the late Peter Atkinson, a pilot for the famed American Volunteer Group (AVG), also known as the Flying Tigers. The A-10’s, assigned to the 23d Fighter Group (FG), flew a missing man formation over Rosedale Cemetery in Martinsburg at noon on Apr. 8 during Atkinson’s re-interment ceremony. As told by Senior Master Sgt. Emily Beightol-Deyerle, 167th Airlift Wing, in the article A-10s honor original Flying Tiger, Atkinson, the oldest of seven children, died Oct. 25, 1941 while flight testing a Curtiss P-40 aircraft for the AVG. He was 25 years old. The 23d FG, based at Moody AFB in Georgia, is charged with carrying on the Flying Tigers heritage. Maj. Lindsay Fletcher, 167th Airlift Wing Executive Staff Officer, coordinated with the 23d FG and the Atkinson family for several weeks leading up to the ceremony. 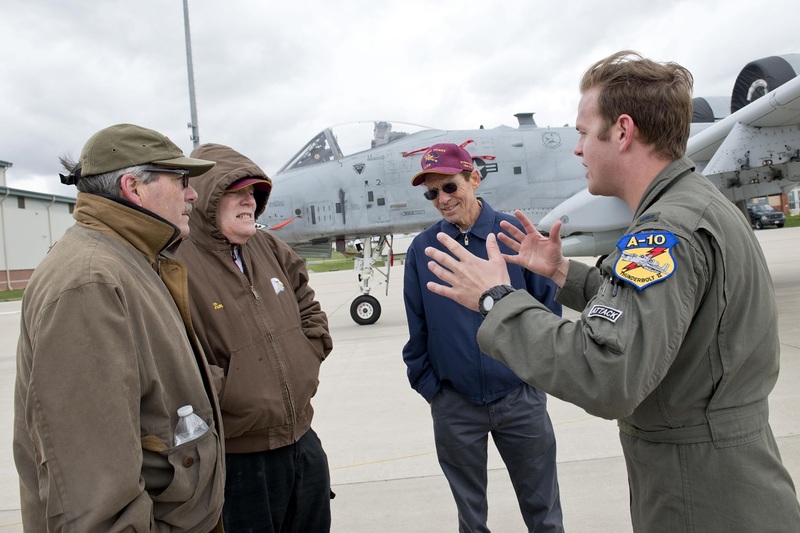 She organized a tour for Atkinson’s relatives to view the A-10’s and meet the crew members the day before the interment. As explained by Fletcher, the family felt a special connection to the 23d FG: in fact Peter Atkinson’s younger brother, Edward, was also a pilot for the Flying Tigers. He, too, lost his life during WWII. Peter Atkinson enlisted in the Army Air Corps in 1939, then in 1941 he signed up to work for the Central Aircraft Manufacturing Corporation, a private military contractor in China. He and the group of airmen he worked with became known as the AVG’s and later as the Flying Tigers. Flying Tigers had to defend China from the Japanese and were credited for keeping the port of Rangoon, Burma and the Burma Road open during a critical time before the war. The group was nicknamed the Flying Tigers because their P-40’s (P for pursuit) were painted with a shark face on the front of the fuselage and a winged tiger on the side. The AVG’s aircraft were shipped in crates on freightliners to Burma, they were assembled and test flown at Rangoon and then sent to the AVG’s training unit at Toungoo. The aircraft Atkinson was testing when he died came apart in flight, just prior to reaching the airfield. Atkinson was buried at the Airmen’s Cemetery at St. Luke’s Anglican Church at Toungoo. 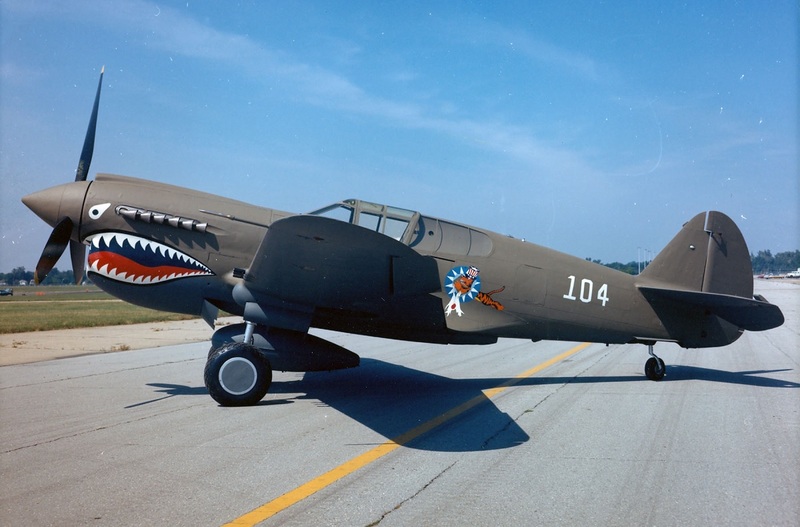 A Curtiss P-40E Warhawk painted to represent the aircraft flown by then-Col. Bruce Holloway, a pilot in both the Flying Tigers and its successor Army Air Forces unit, the 23rd Fighter Group. Given that the cemetery headstones were destroyed by the Japanese during WWII, Atkinson and the bodies of two other AVG pilots were moved to a cemetery in India following the war. When that cemetery closed the remains were moved to the National Memorial Cemetery of the Pacific, also known as Punchbowl Cemetery, in Honolulu, Hawaii. In 2013, an employee at Punchbowl Cemetery, began to identify missing AVG pilots: after significant research and DNA analysis, Atkinson’s remains were identified and plans were made to bring him back to Martinsburg to be re-interred. Atkinson’s body was flown from Hawaii to Dulles International Airport, Apr. 3. First Lt Andrew Paterson, an A-10 pilot assigned to the 23dFG, speaks with relatives of the late Peter Atkinson the day prior to Atkinson’s re-interment ceremony in Martinsburg, W.Va. The 23d FG is charged with carrying on the heritage of the Flying Tigers, the unit Atkinson was assigned to when he died while flight testing a P-40 aircraft. Atkinson had been in a unmarked grave in Hawaii for more that 70 years and was laid to rest at his family plot April 8. 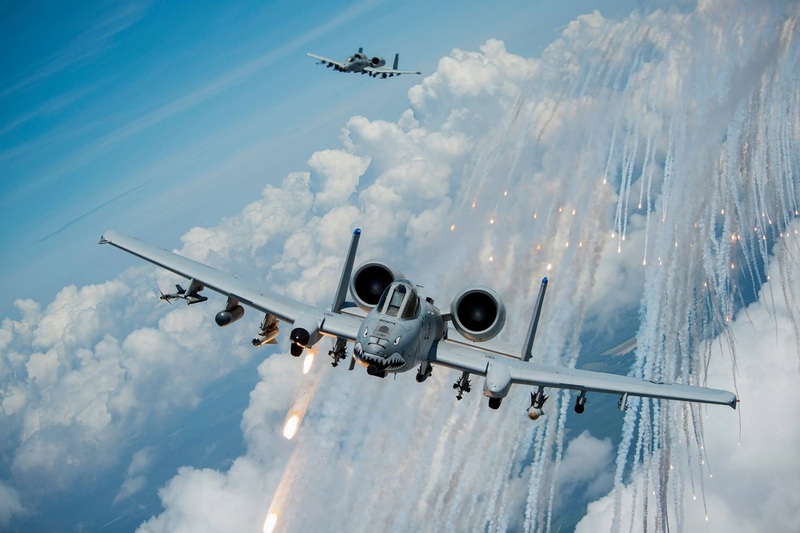 Four A-10’s from the 23d FG flew a missing man formation over the ceremony to honor Atkinson.